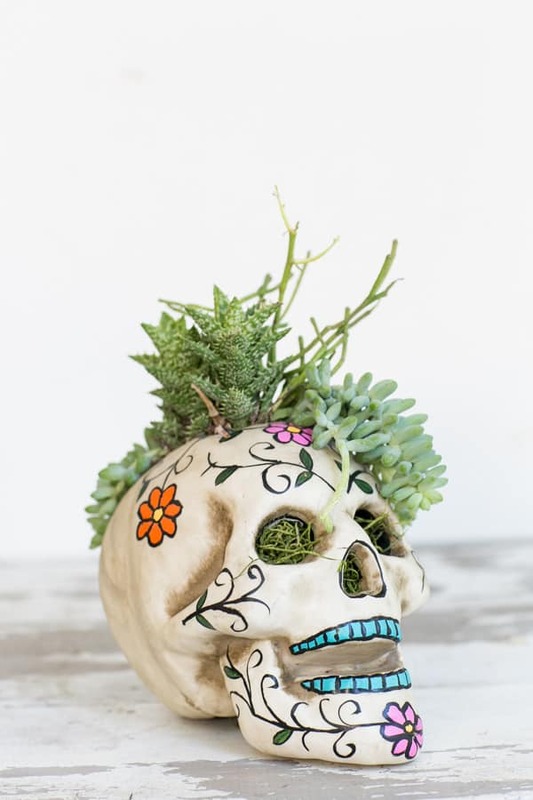 We teamed up with Erin from White Fig Designs to create this adorable and easy Halloween centerpiece using a pre-decorated styrofoam skull and succulents! 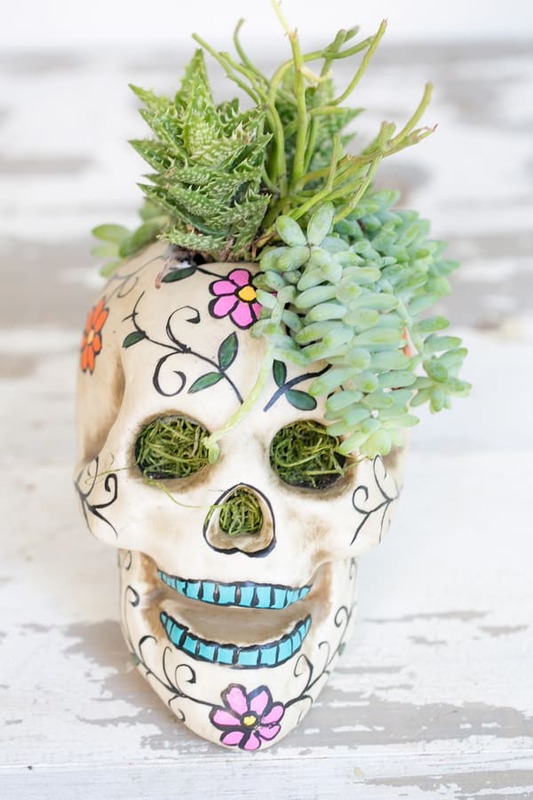 It’s so simple to make and lasts the entire month of October! I usually put out my Halloween decor items throughout the month of October. I’ve had this arrangement sitting on a cake stand in our kitchen and I love how festive and charming it is! It goes well with my fairy tale pumpkins, skeleton garland and candles. I think I’ll place it outside on Halloween night. Directions below! 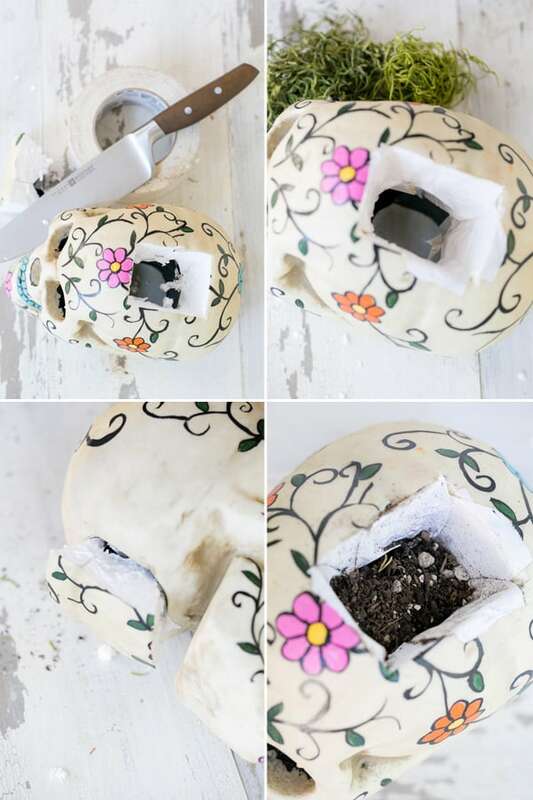 Cut a hole in the top of the styrofoam skeleton in the shape of a square. Use that piece (that you just removed) to fit into the bottom of the skeleton if there is an opening. You might need to cut it to adjust. Fill the bottom with a handful of moss, make it come out of the eyes and nose. Use duct tape to tape around the edges of the hole, so the styrofoam doesn’t get too wet when watering the plants. Add in the dirt and plants. Sprinkle with water every few days and enjoy! oh awesome! this brought a smile to my face! OMG, this is amazing! I have to do this. I’m going to explore in the woods today and see if I can’t find an animal skull. I was wondering where you got this skull from. Hi Madison!! Sorry about your skeleton skull!! What a bummer!! So we actually bought them downtown LA in the flower district. I know, totally doesn’t help you! I will try to do some more research and get back to you though!! 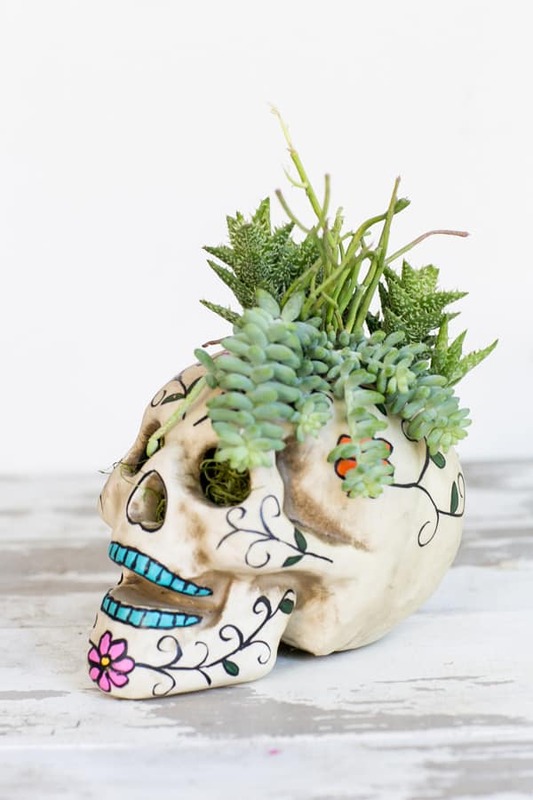 where did you find the skulls that were used to make the planters?